Thanks to the sweet Elizabeth from Pretty Pink Tulips I no longer have to worry about missing the scent of my favorite flower. 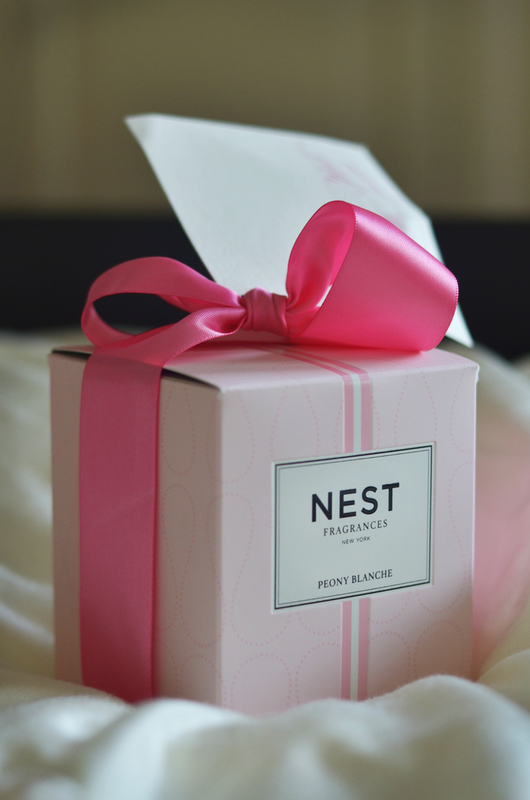 After winning her give-away recently she sent me this uber delicious treat: the Peony Blanche candle from NEST Fragrances. I'm completely sold to this adorable gift, hoping the 50 burning hours will feel like a thousand;) My very first give-away win! Thank you so much Elizabeth. 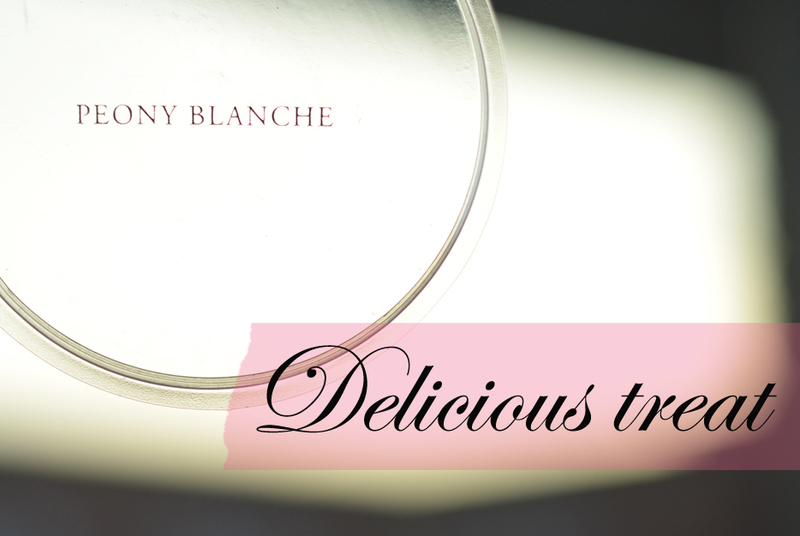 If you don't know Pretty Pink Tulips you should definitely pay the beautiful blog a visit. You will find tons of inspiration, fun ideas for the home, gifts or entertaining (amongst others) and lot's of posts with gorgeous images and writings reminding you of beautiful things in life. Oh I want this candle! Got to love peonies - such a reminder of Spring and Summer! how lovely! And your images too. Good morning, Christel! I'm so happy to know the candle arrived. I truly hope you enjoy it as much as I have enjoyed mine. The next best thing to a bouquet of peonies!! Wishing you a fragrant and lovely day!! a lovely win. you've got me racking my brains over what peonies smell like! how lovely to win your favourite scent. PPT has been such an inspiration to me. Love her! And am enjoying your blog very much too! Congrats on your pretty! How lovely!!! Gorgeous box & bow, I can imagine the scent is heavenly ... isn't Elizabeth a darling? Hope you're having a wonderful week, sweetie-pie. Wow, congratulations Christel! I adore aromatic candles. Lucky you, enjoy it. There's nothing like a gorgeous candle to make things feel even better! Congrats Christel! Enjoy! Congrats!! Those candles smell amazing and one cannot help but appreciate the packaging. I love Elizabeth's blog, thanks for introducing!